Nearly 6 months ago, I got married. After our wedding in Toronto, The Hubby and I set off for a 5 week adventure throughout China and Southeast Asia. Our trip began with stops in Suzhou, China (my home town) and Hong Kong (his home town) for two more wedding receptions with our extended families. During this first leg of our wedding tour, both our parents travelled with us along with some cousins and siblings. 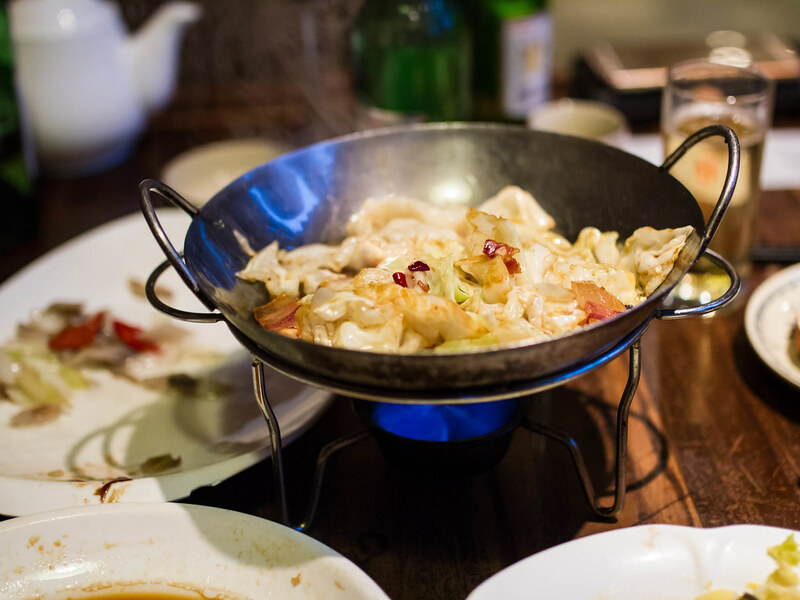 Eating with family in China means lots of great local dishes, often with unknown ingredients at an unknown cost. I rarely get to see a bill when visiting relatives. This means some of my posts for China and Hong Kong may be vague and I apologize now for it. Suzhou, located in Jiangsu province about an hour away from Shanghai is often referred to as the Venice of China. The city is filled with canals and stone bridges. 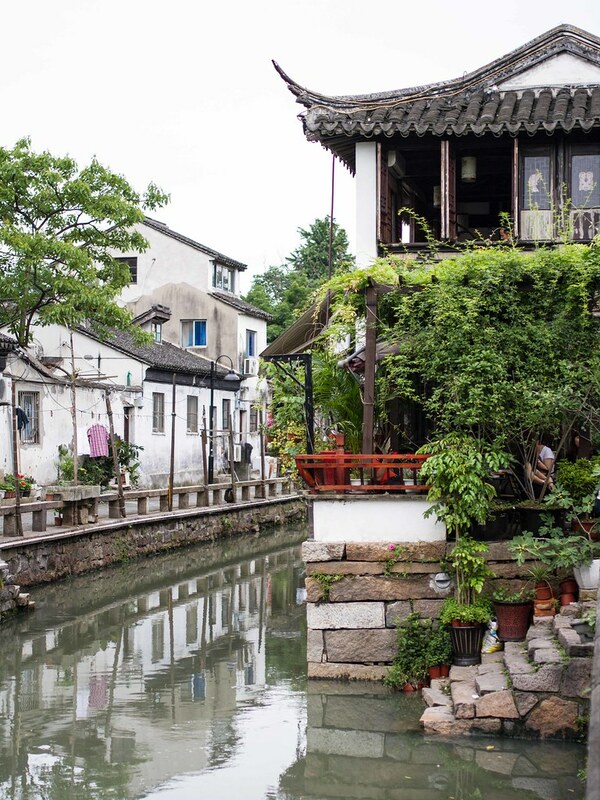 My grandmother lives right one of these canals and I’ve always loved walking through old Suzhou along the stone walkways. While in the city, The Hubby and I spent a day getting dolled up and taking photos with a local studio. My favourite shots were taken along Pingjiang Road, a historic street where the traditional architecture of Suzhou has been preserved. The road was filled with food vendors, tea houses, cafes (Starbucks included and many cat cafes), book shops, craft shops and restaurants. 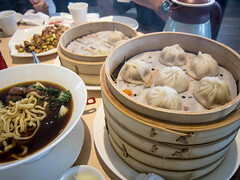 Since the district is a tourist attraction, the restaurants can be pricier. 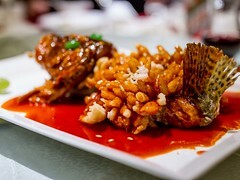 After our photo shoot, The Hubby and I met up with two of my cousins to enjoy dinner at One Fish (一条鱼), one of the many restaurants offering classic Suzhou dishes on Pingjiang Rd. The restaurant was unfortunately not English friendly. 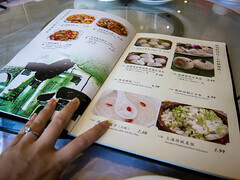 However, like most restaurants in China, the menu was filled with pictures making ordering easier. Also like most seafood restaurants, all of the live offerings were displayed in tanks in the restaurant lobby. To order, we picked the types of seafood we wanted and then chose how each ingredient would be cooked. There were also samples of the restaurant’s popular dishes displayed. 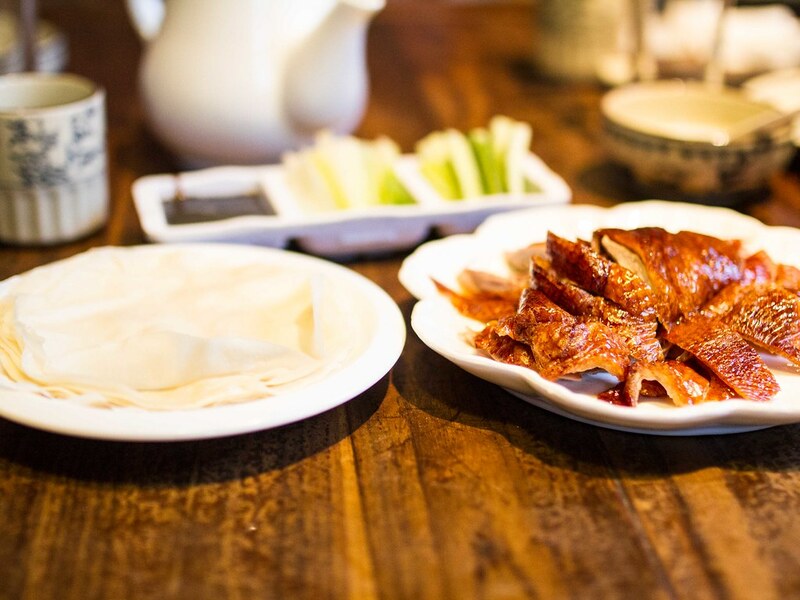 We ended up starting dinner with Peking duck. There wasn’t much meat but the skin was crispy and the wrappers thin and freshly steamed. Next was sautéed water lily bulbs, which were crunchy and sweet, with celery. Next was a spicy and sour soup with udon and lamb slices. 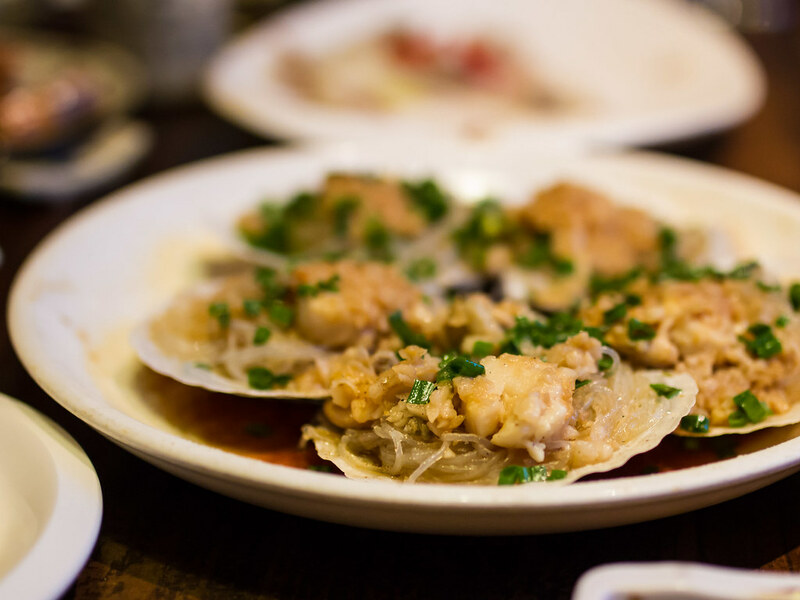 Our first seafood dish was steamed scallops with vermicelli, fresh and tender. Often when I’m travelling, I have trouble getting enough vegetables in my diet while constantly eating out. 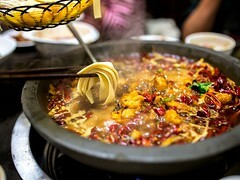 This wasn’t the case in Suzhou and my relatives made sure we always enjoyed vegetables that were in season. 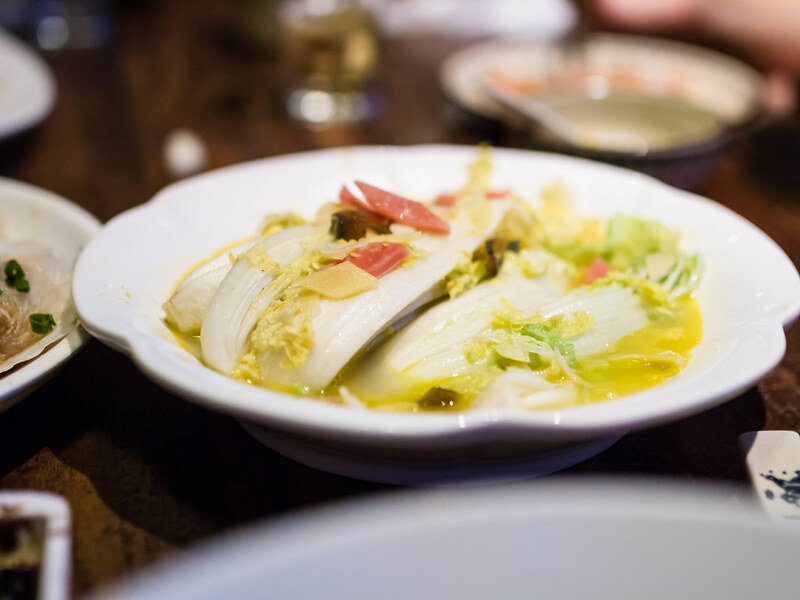 At One Fish we had napa cabbage cooked with pickled mustard greens and a spicy cabbage hotpot. Served over a heating element, the cabbage became more flavourful and spicier over time. Such a simple dish but made with fresh ingredients and strong seasoning left a lasting memory on my taste buds. 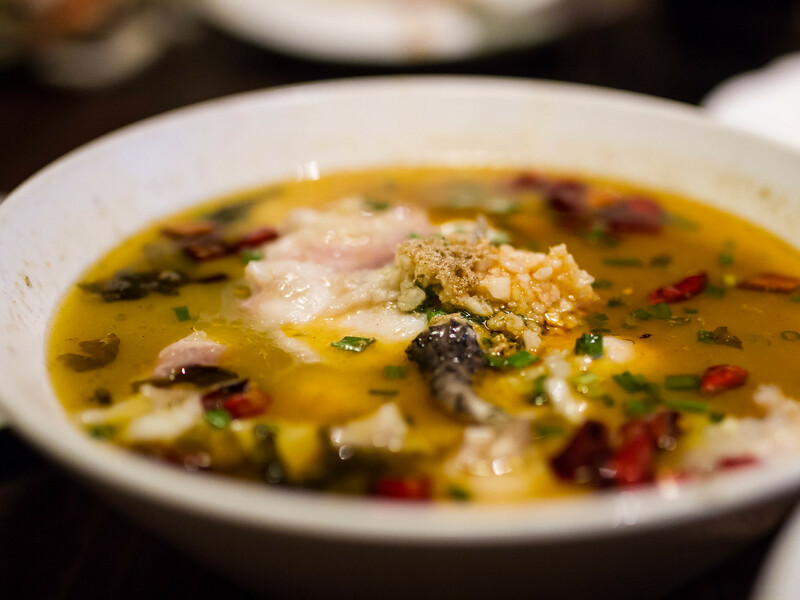 The other seafood dish we had was a spicy and sour fish soup (酸菜魚). Straight from the tank to the wok, the fish was fresh, tender and finished cooking at our table. 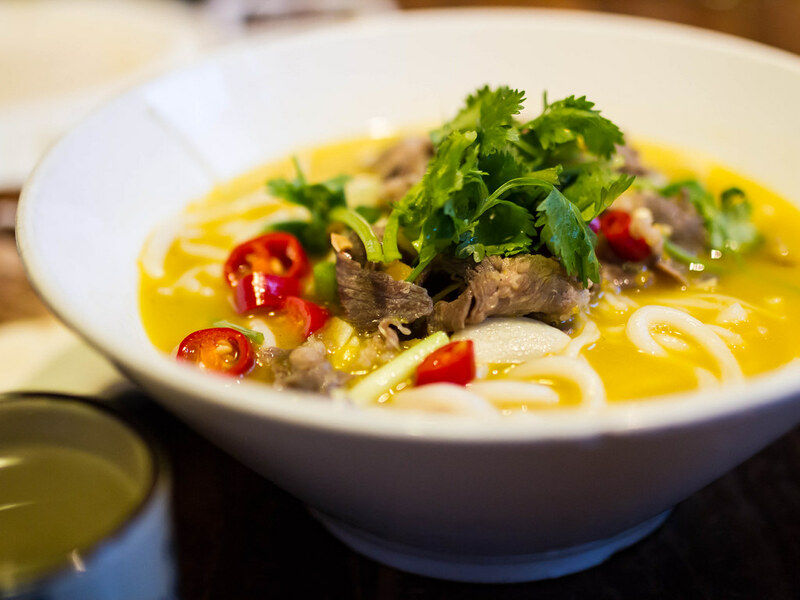 The broth was savoury and full-bodied. 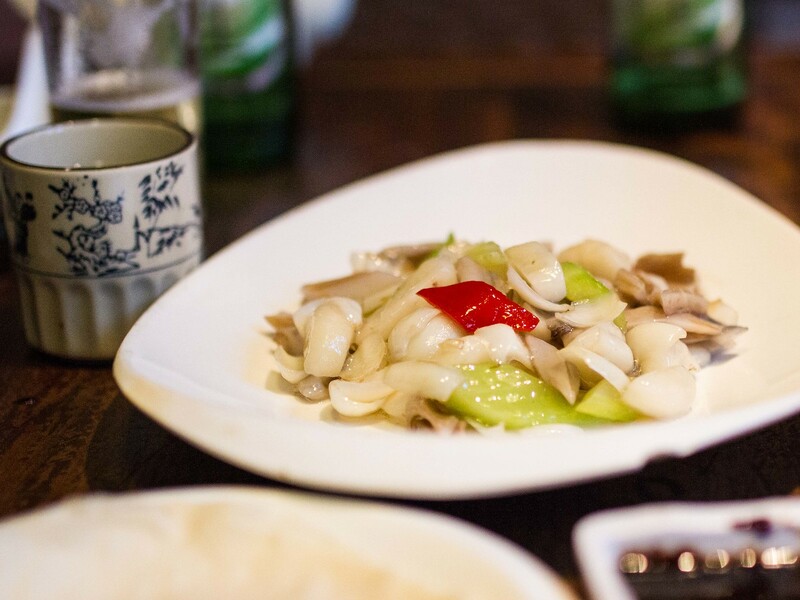 The sourness from the preserved vegetables complimented the natural fish flavour. 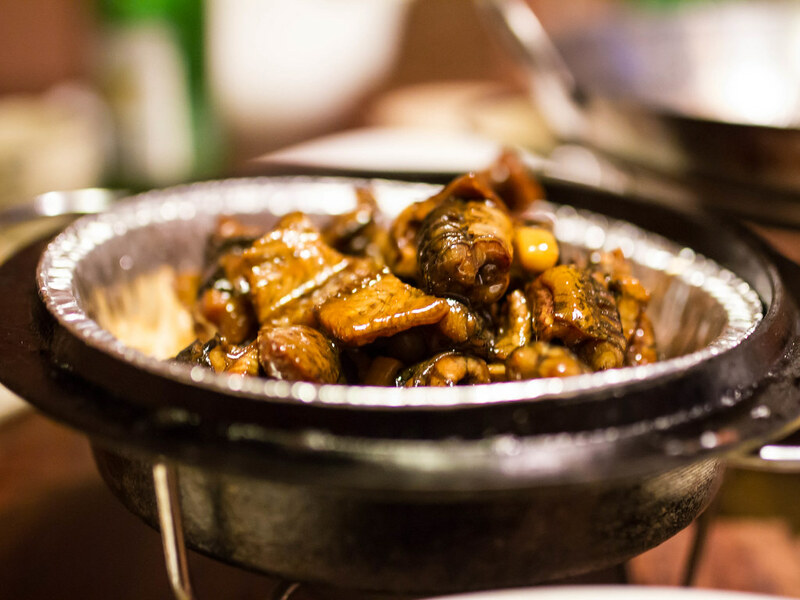 We also had freshwater eel sautéed in a ginger and garlic sauce, another popular Jiangsu dish. With some hand signs and pointing, placing an order at One Fish would be possible for non-Mandarin speakers. The seafood restaurant was a great spot for dinner after an afternoon enjoying the sights of Pingjiang Road.